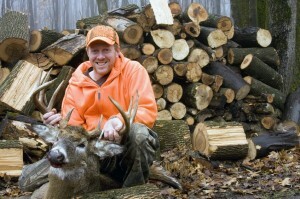 A successful deer hunt is a wonderful thing. Hours (and, more often than not, days) of hard work finally pay off and you’ve finally bagged your game. What comes next is as – if not more – important as what led up to the kill: the gutting and/or field dressing of the deer. Now, as unpleasant as this topic may be for those uninitiated into hunting life, this is an incredibly important thing to discuss. Here’s why: the quicker the deer is fully dressed, the less likely for any sort of contamination and spoilage will take place. And NOBODY wants contaminated and/or spoiled game meat. In the spirit of teaching hunters how to quickly field dress freshly shot game, this newly released and extremely helpful video is good thing for all serious hunters to check out. WARNING: That said, and let’s be perfectly clear about this, the aforementioned video is NOT for the faint of heart. In other words, do NOT click the link if hunting and animal anatomy is foreign or offensive to you. Ok, with that out of the way, to view an incredibly helpful video detailing exactly how to safely field dress a newly bagged deer, click here. Also, if you’re a hunting and/or a field dressing novice, you should definitely familiarize yourself with the potential risks of field dressing a deer in order to better prepare you for the potential risks associated with the activity and why you need to go about it properly.